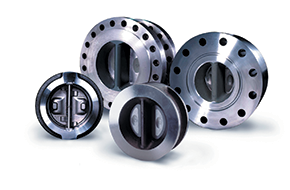 Goodwin International is the recognised market leader in the manufacture and design of Dual Plate Check Valves for use in the world’s hydrocarbon, energy and process industries. 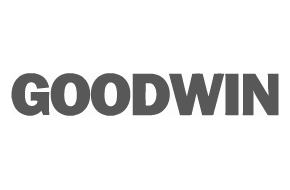 With a track record of supply spanning almost 30 years, Goodwin has developed an enviable reputation for quality and reliability of product that is unsurpassed. From its BS EN ISO 9001:2008 manufacturing facilities located in Stoke-on-Trent, England, Goodwin supplies internationally. Exporting to over 50 countries, the Company provides an outstanding level of service and support to its global customer base listed amongst whom are many of the world’s end users, oil majors and international engineering companies. The Goodwin Dual Plate Check Valve is available in sizes 2″ to 144″, pressure classes ANSI 150 lb to ANSI 2500 lb, in 6 different body styles: Wafer, Flanged, Solid Lug, Hub-end, Buttweld end and Buttweld end with access, and in a wide variety of materials including Carbon Steels, Stainless Steels, Duplex Stainless Steels, High Nickel Alloys and Titanium. With a range of product, manufacturing and testing capabilities to meet the most demanding and stringent of customer specifications, Goodwin’s Dual Plate Check Valve is “Retainerless” design as standard. Having no screwed body plugs, it has no potential leakpaths to atmosphere and is, therefore, a “fugitive emissions free” design. Together servicing and supporting their global customers, Goodwin have been partners for almost a decade with RP Valves, holding inventory of an extensive range of Goodwin Dual Plate Check Valve in sizes to 36″, to ANSI 2500lb, in Carbon, Stainless, Duplex & Super Duplex Stainless Steels and in Aluminium Bronze.